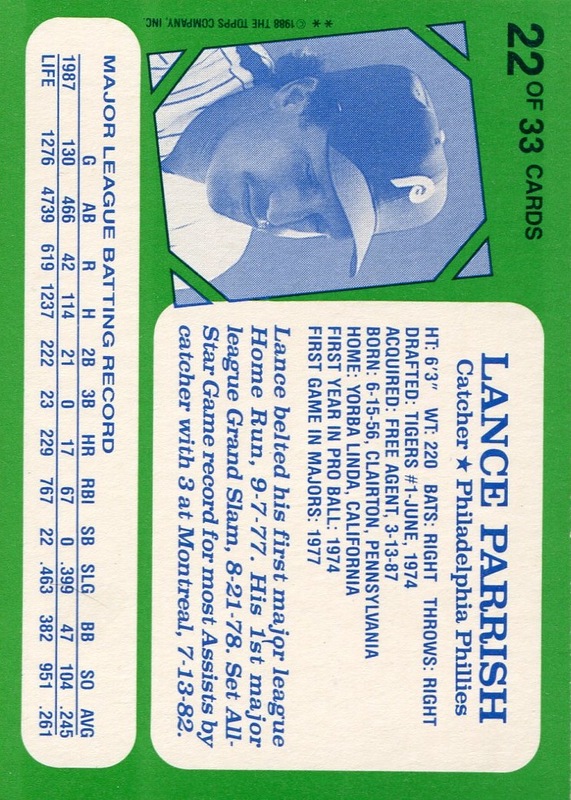 Additional Information: One of the many 33-card box sets produced by Topps throughout the mid-to-late ’80s. 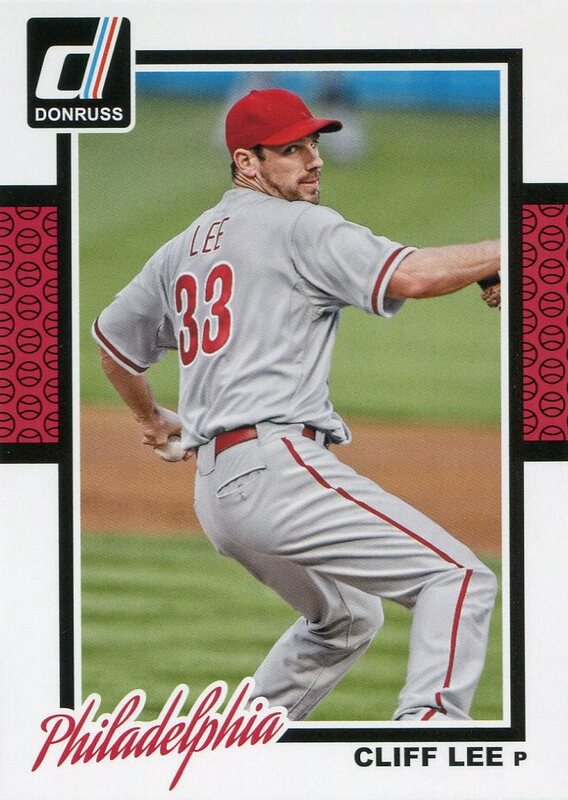 Topps produced this set for the Kay Bee toy store chain. 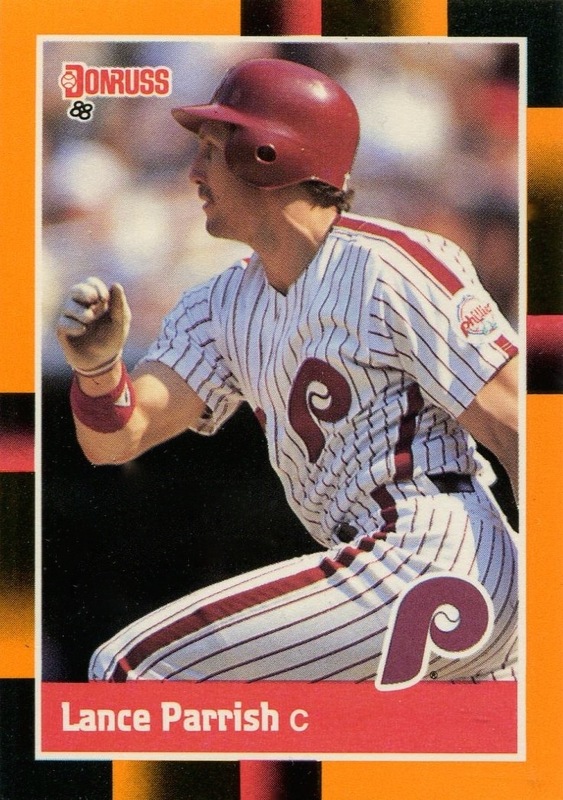 SCD’s 2011 Standard Catalog lists the set as “1988 Kay Bee Superstars of Baseball,” while the Beckett online guide refers to it simply as “1988 Kay-Bee.” The card uses the same basic design as the other Topps Kay Bee sets produced from 1986-1989, only varying in the color of the border on the front and the background color on the back. 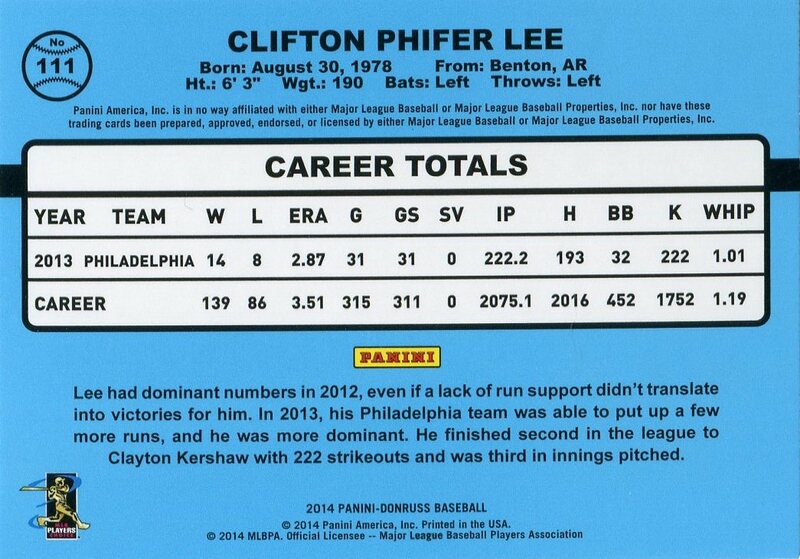 As with the other aforementioned Topps Kay Bee sets, the back of the card utilizes a design similar to that found on the back of the 1971 Topps set. 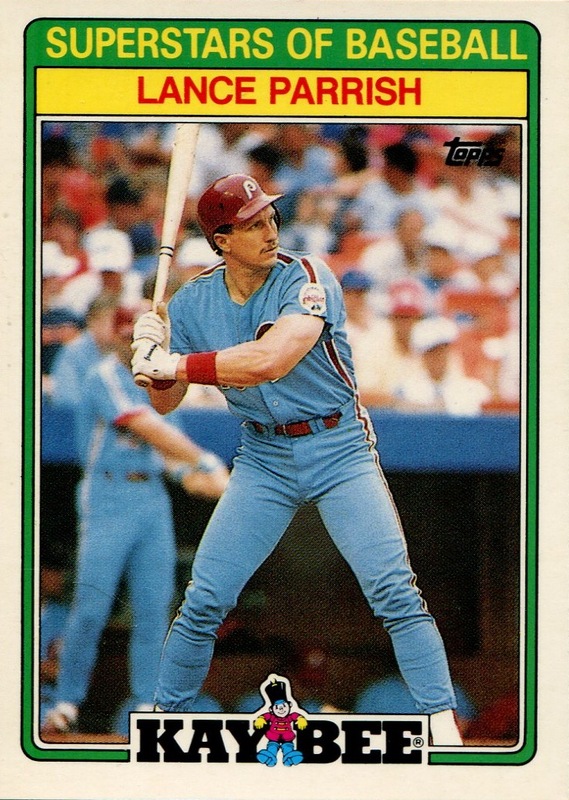 Interestingly, Fleer and Topps both produced sets for Kay Bee in 1988. 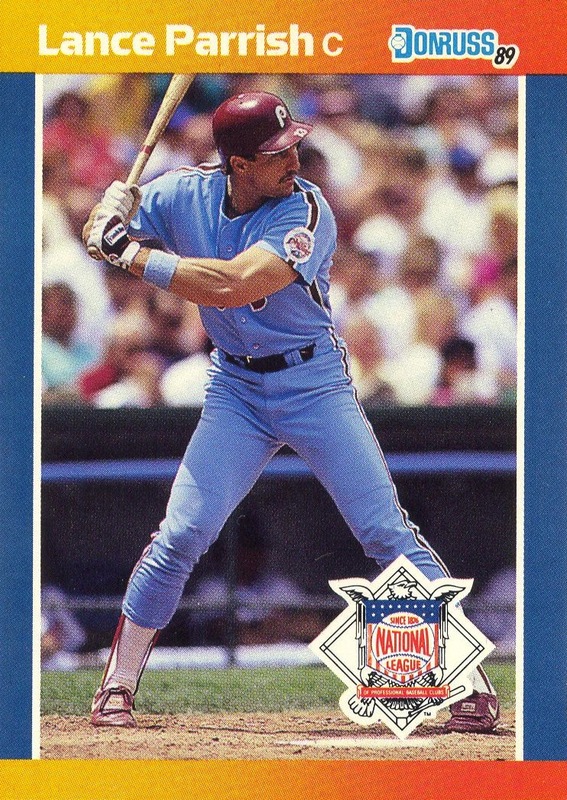 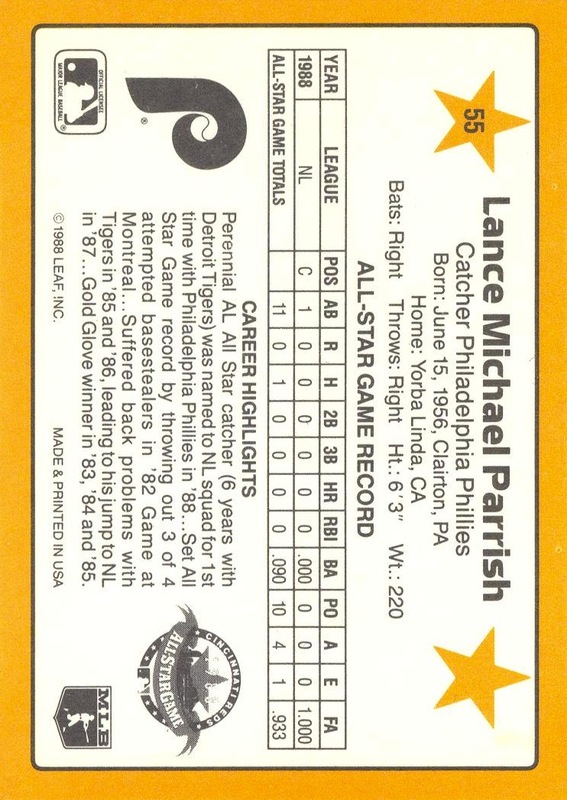 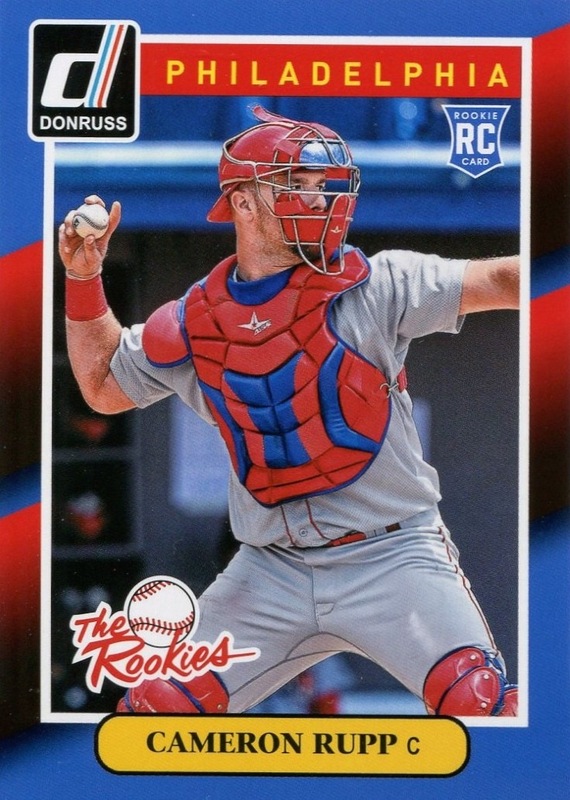 Additional Information: The front of the cards utilize the same basic design as the regular 1989 Donruss set, with different colors for the border and the player’s League logo replacing his team logo. 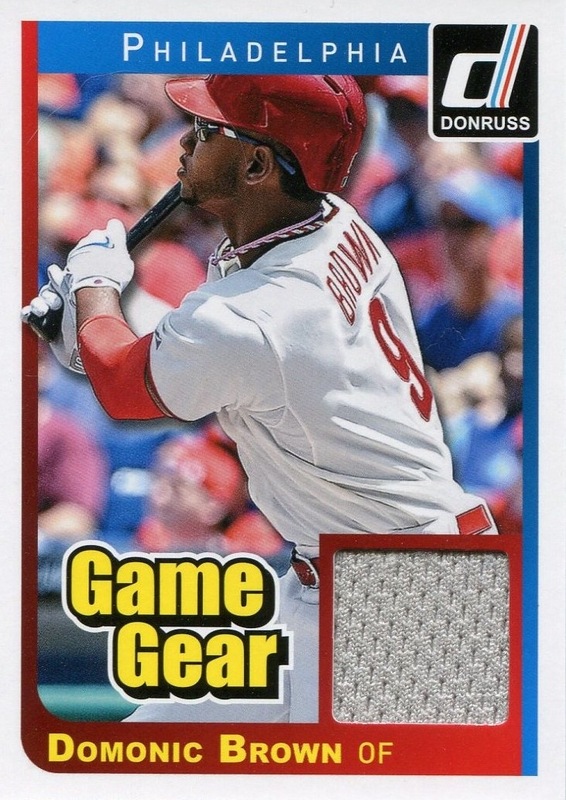 The pictures used in the cards do differ from those used in the regular Donruss set. 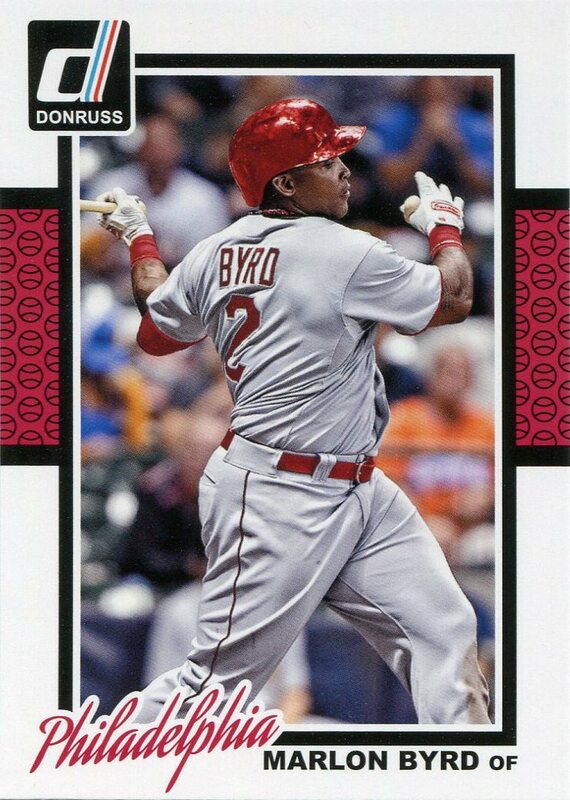 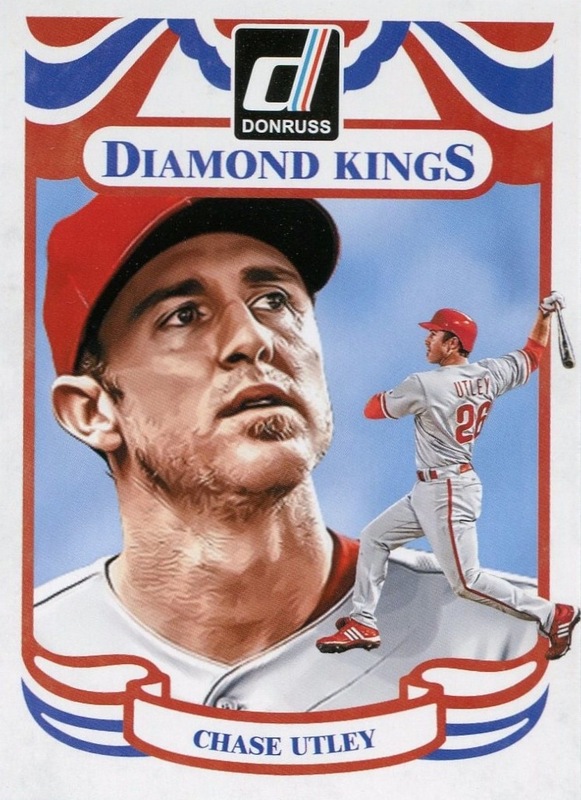 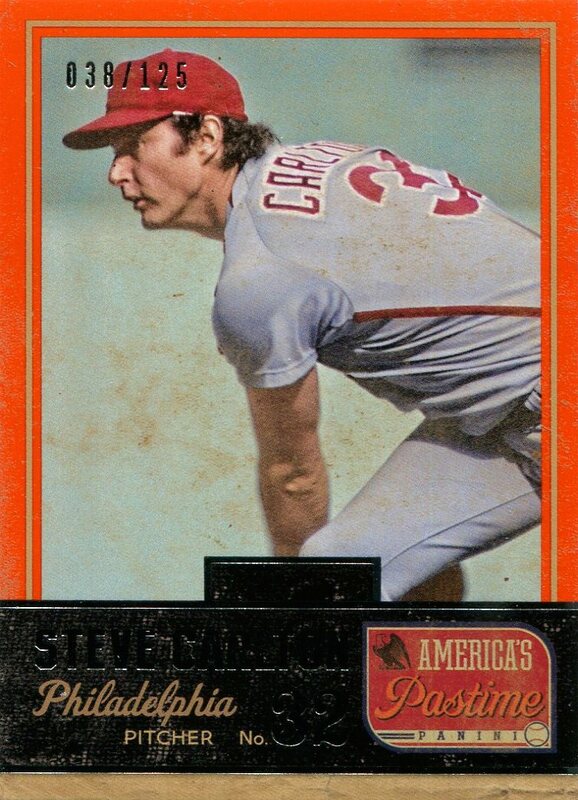 For the first time since Donruss started issuing its All-Stars set, the cards are standard-sized.